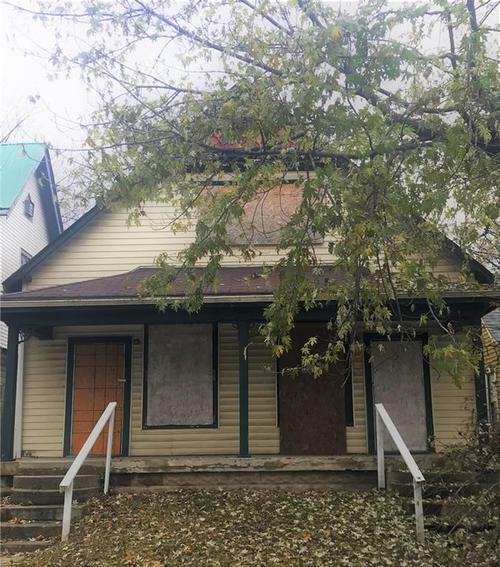 Investment flip opportunity just South of downtown Indy! Near the Sacred Heart and Lucas Oil Stadium this location has so much potential. With various flips underway in neighborhood pocket could this be the next prime real estate downtown? Attracting flippers like 2 Chic’s and a Hammer and local investors alike, get a good price while you can. Home needs a complete renovation but with the right visionary skills the possibilities are endless! Would make a great turnkey property once rehabbed - Duplex's are hard to come by! Directions:From Downtown, Head S on Meridian St., E on Morris, South on Union to home.